My passion is to help people connect deeper by giving them a wild space. The forest events above are designed as an antidote to office fatigue and the restrictions of living and parenting in an urban environment. I believe you can adventure beside those you love without travelling as far as the Amazon or Himalayas. Sleeping under the stars with your kids or friends, in a bivouac you made together, is a foundational experience for enriching your family and friendships. Imagine 30hrs outdoors, only an hour from SW London. It’s near enough to reach, long enough to connect, and short enough to fit your calendar. We’re free to make fire, use knives and get to grips with the natural surroundings. It’s about being fully present and leaving the virtual world behind. I believe we’re made for each other. We’re made for the wild. Let’s get out there! “During the practical teaching demonstrations on Fire Building, Camp Craft, and Wild Food Preparation, Nathan’s in depth knowledge was outstanding. His demonstrations were all highly practical allowing the students to get hands on experience and have time to practice and hone their new found skills. 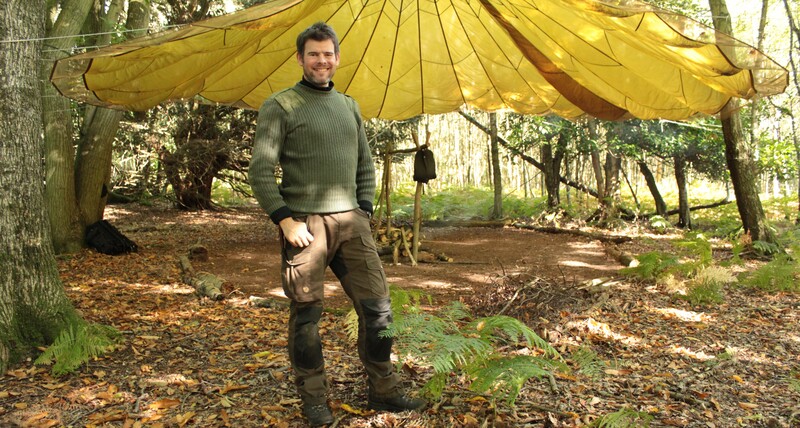 He is an inspirational teacher with broad knowledge of bushcraft equipment. I can highly recommend him if you want to learn what life is like in the woods and can ensure you will have a great experience. As humans these skills were once common to us all but over time they have been lost. This is a great way to learn some ancient skills and make you feel great in the process”.